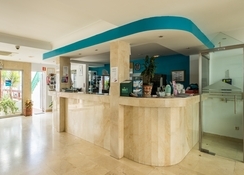 Blue Sea Los Fiscos is a 3-star hotel located Puerto del Carmen. The hotel features a swimming pool and kids play area. Different programmes are also arranged by the hotel staff to entertain the guests. Further, there is a games room inside the hotel. 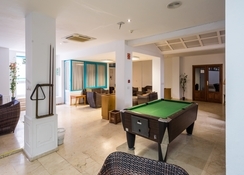 Rooms at Blue Sea Los Fiscos feature kitchen facilities, telephone, television and safe. There is WiFi connectivity inside the rooms. The balcony is furnished with table and chairs and offers magnificent views of the city to the guests. There is a fully-equipped kitchen inside the rooms. Blue Sea Los Fiscos features a restaurant serving delicious food for breakfast, lunch and dinner. 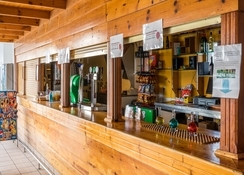 The hotel has a pool bar, where one can enjoy refreshing drinks, different cocktails and finger food. A few restaurants and bars are also near the hotel. Blue Sea Los Fiscos features a swimming pool and a children's pool. There is a playground and games room, where you and your kids can enjoy different games during your holiday. The staff arranges for evening shows and different entertainment programmes for the guests. Blue Sea Los Fiscos is located around 11 km away from Lanzarote airport. The hotel is also near Old Town Harbour, Las Terrazas Pool bar and SKYY. 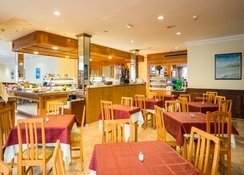 A few restaurants and bars are also near Blue Sea Los Fiscos. 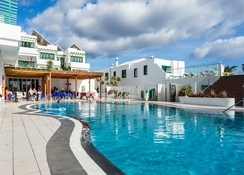 Not the most glamorous hotel in Lanzarote but clean,friendly staff and a good base for all the amenities without all the hustle and bustle of the main PDC.Lovely pool and a reasonable choice of food if you're not too fussy.This was My 5th stay at Blue sea Los Fiscos and have enjoyed every time. staff were the best part they were so helpful, polite and really friendly. LOVED the food ,really glad we went all inclusive.Rooms were very basic,with lots of stairs/steps involved on hard tile. (not for the faint hearted) Beds were not comfortable , lumpy and in need of updating. The apartments were very good sized all throughout. Decor could be doing with an update but all in all very clean tidy space. 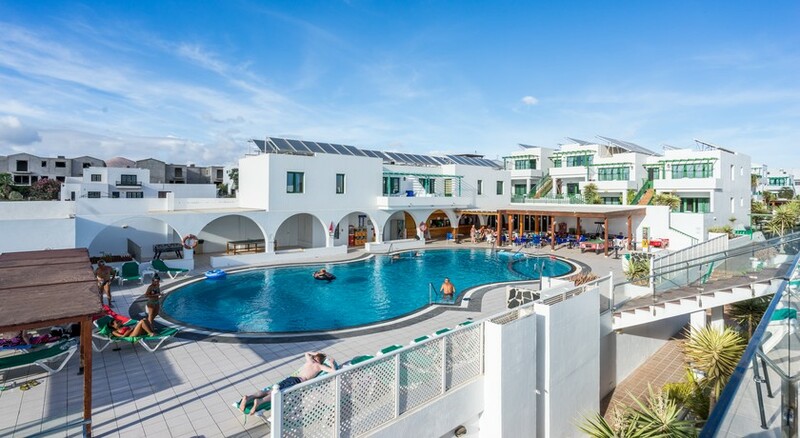 The pool area was great, very clean and tidy with a beautiful view of Lanzarote during the day and in the evening its lovely to sit at the pool bar watching the sun set on this stunning island. The location wasn't the greatest for people like myself who like to wander and explore the place their visiting. Takes at least 30 mins to get to the beach and minimum 40 minutes back because its all up hill. But when you get to the beach front area it's great, there are loads or bars, shops restraints and activity to do. Staff were lovely, when we arrived at reception we were given loads of activity and travel information all over the island. Very friendly and helpful at all times, except from one guy working the pool bar at evenings was rude. I was all includive, the food was very basic and didn't really change much day to day. I didn't go away hungry but if I'm honest I was eating the same thing every night. However they did have a great cocktail selection at the bar. It was a beautiful holiday and I really enjoyed the island the hotel was ok value for money. Done an coach tour of the island and it's volcanic history. Was a very insightful day and id highly recommend it!! Weather was beautiful in September. If im being truthfully honest the ony things to work on are: the rude bar man, Change food selection more often. As it's a lovely hotel for, couple, family's and groups of friends. I enjoyed my time away, this hotel is lovely place to stay if you looking for cheap and cheerful holiday, as me and my partner where on budget it was great for us, food, room and staff where fab :D , definitely go back again.